Amiri is the label inspired by the youthful Californian rock-and-roll culture. Effortlessly cool, each piece is created in the designer’s hometown Los Angeles. 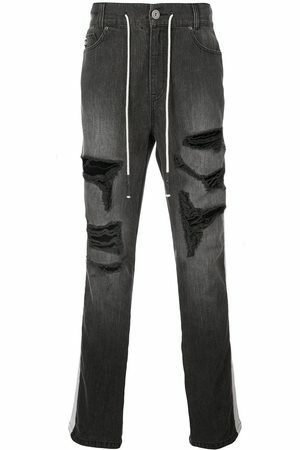 These washed denim blue cotton distressed straight leg jeans from Amiri feature belt loops, a button fly fastening, a rear logo stamp, a five pocket design, a straight leg and distressed effects.